The Facility’s PAGE equipment is free to use. 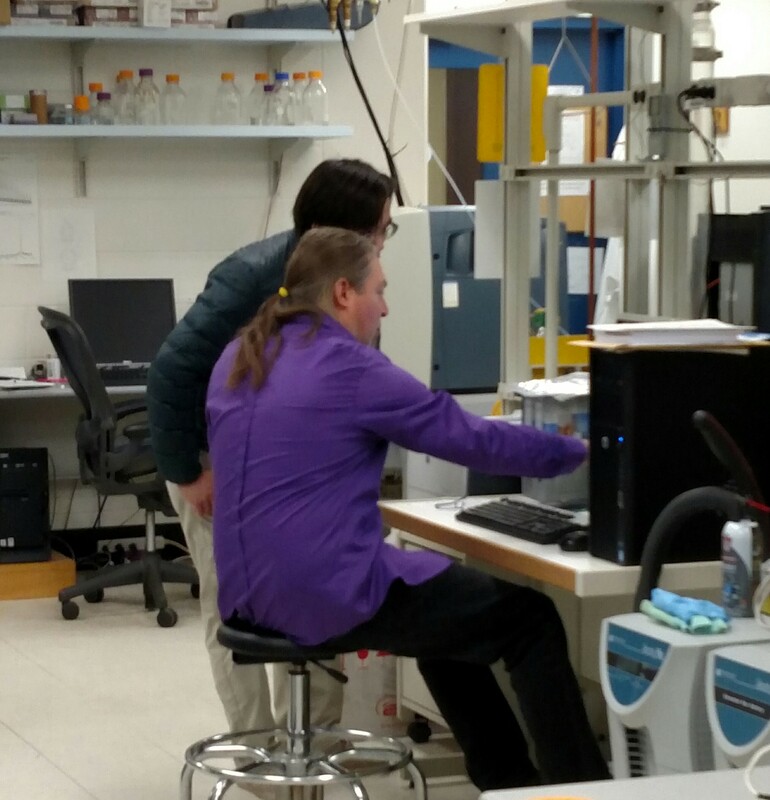 If you don’t know how to run a gel, Tania can help! 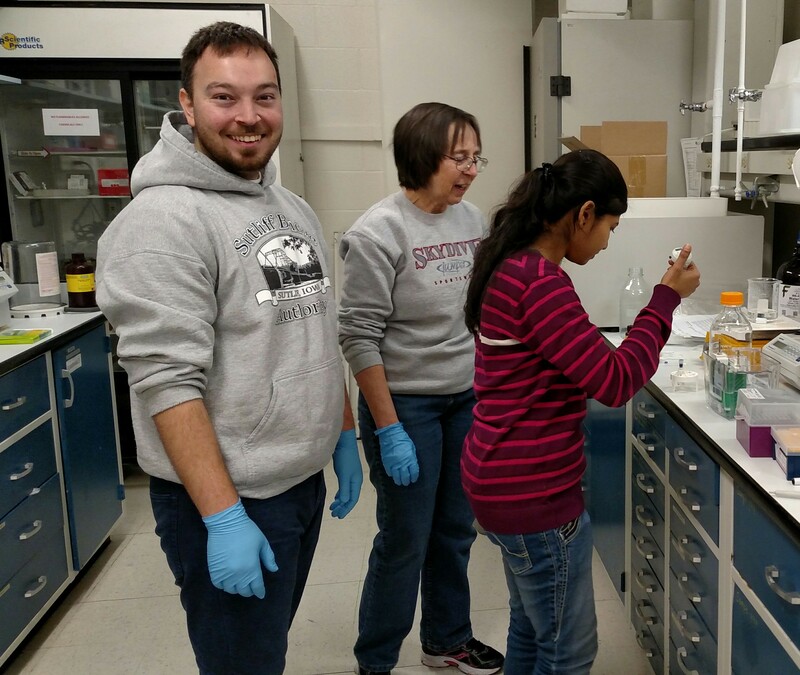 Professor Ozbolat’s students, Kerim (left) and Madhuri (right) are using PAGE equipment with Donna’s (center) guidance. Today, our doors are open to anyone who is interested in polymer analysis by MALDI-TOF MS. 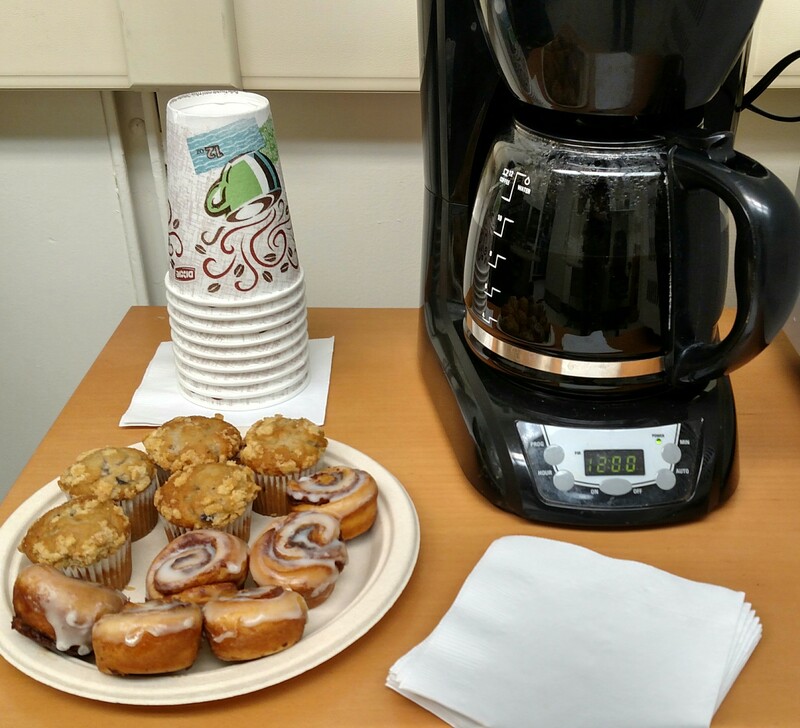 Please stop by our Facility to learn more about our equipment and have a cup of coffee! This entry was posted in Equipment, Facility news, MALDI-TOF status, open house, Uncategorized and tagged events, Open House, polymer analysis on February 5, 2016 by Tania.